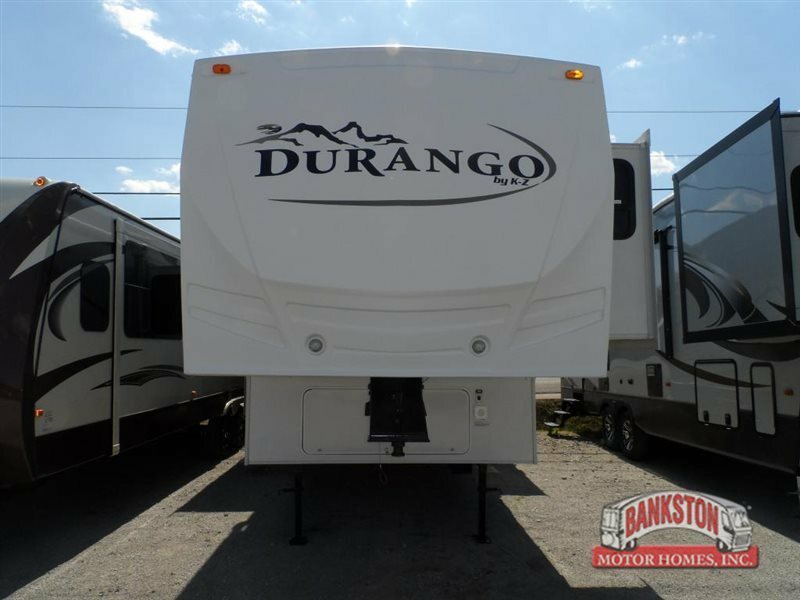 2008 KZ Durango 325SB, Triple Slide, Rear Living Area w/2 Lounge Chairs, End Table, Overhead Cabinets, Sofa & Booth Dinette Slide out, Ent. Center/Pantry/Refrigerator/3 Burner Range & Overhead Slide out, Double Kitchen Sink, Awning, Side Isle Bath w/Angle Shower, Lav., Double Bath Entrance, Front Queen Bed Slide out, TV Cabinet, Overhead Cabinet, Front Wardrobe, Exterior Shower, Ext. Storage & Much More. 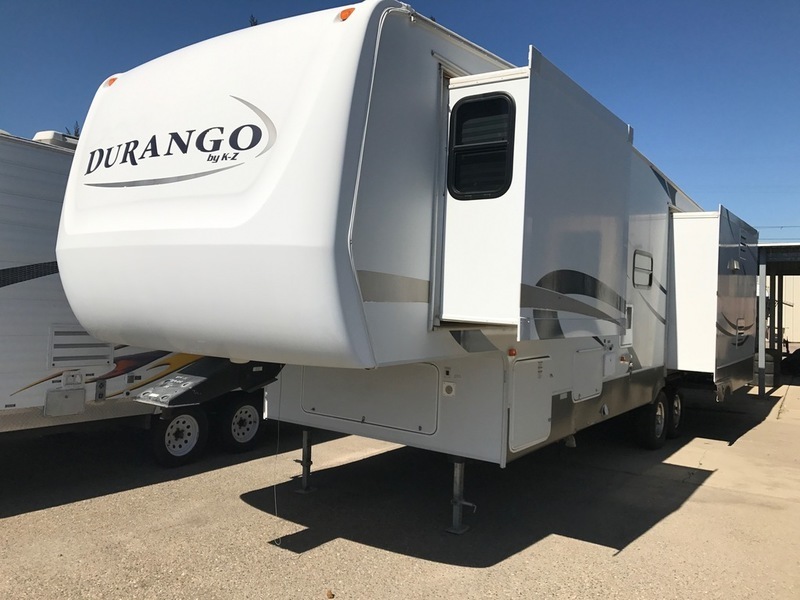 2007 KZ Durango 325SB, Triple Slide, Rear Living Area w/2 Lounge Chairs, End Table, Overhead Cabinets, Sofa & Booth Dinette Slideout, Ent. Center/Pantry/Refrigerator/3 Burner Range & Overhead Slideout, Double Kitchen Sink, Awning, Side Isle Bath w/Angle Shower, Lav., Double Bath Entrance, Front Queen Bed Slideout, TV Cabinet, Overhead Cabinet, Front Wardrobe, Exterior Shower, Ext. Storage & Much More. 2016 KZ SPORTSMEN LE 281RLSS, Looking for something that is small in size but still has everything you need??? 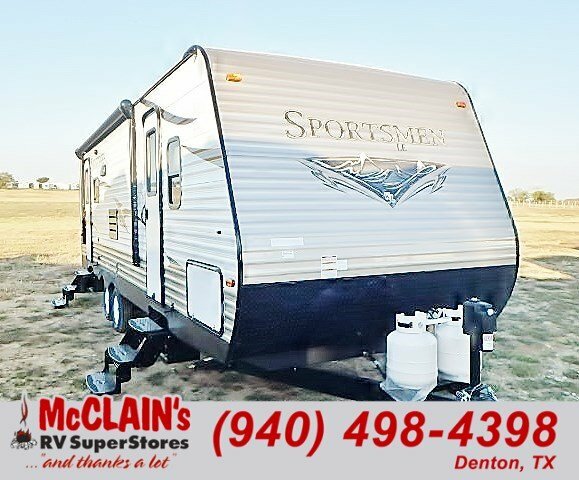 Look no further than this 2016 KZ Sportsmen SS281RLSS has a lot of value packed in to such an affordable travel trailer! When you walk inside you will notice 2 chairs and a huge super slide with a dinette booth and a jack-knife sofa that can easily convert into extra an sleeping space. 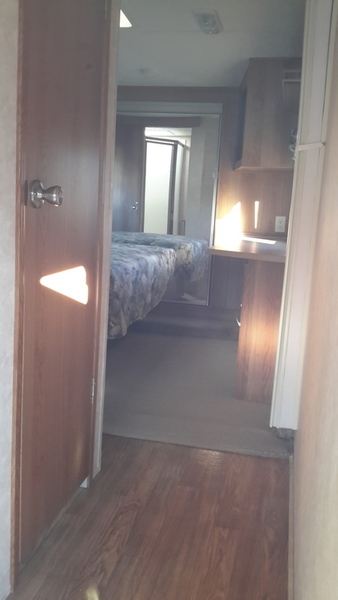 Across the trailer is a full kitchenette that has a refrigerator, 3 burner stove, oven, a double sink, and plenty of drawers and cabinets for storage. Meal prep will be a snap in this travel trailer! On the right before you enter the bedroom is the bathroom. The bathroom has a toilet, sink, shower/tub, mirrored medicine cabinet, and a power vent. To the left before you enter the bedroom is a corner TV mounting location with all the connections and an AM/FM/CD player that plays throughout the camper. The bedroom has it's own entrance. End your long day with a walk around queen bed with overhead cabinets, wardrobe closets on each side, and a large storage area under the bed. The Sportsmen Show Stopper has tinted windows, R-7 insulation, an upgraded 15,000 BTU air conditioner and a 25,000 BTU furnace that will provide you with plenty of comfort. This extremely lightweight travel trailer has a dry weight of about 5,500 pounds and can be towed by most pickups and SUV's! 2016 KZ SPORTSMEN LE 280BHSS, Looking for a bunk house travel trailer for you and your family? 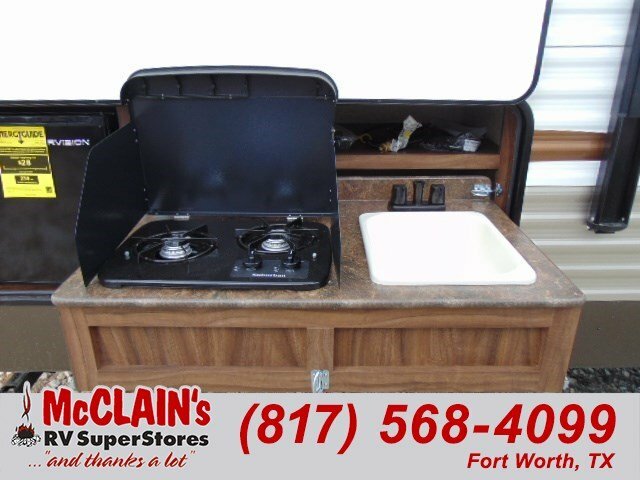 Look no further than the Sportsmen Show Stopper LE S242BHSS travel trailer by KZ!As you enter the travel trailer, to the left is a double kitchen sink, three burner range, and microwave. The opposite side of the travel trailer offers a refrigerator and dinette with a TV mount next to the dinette. Meal prep will be a breeze in this fully equipped kitchen!In the front you will find a queen bed with two wardrobes, one on either side of the bed.There is a 50 x 75 double bunk located in the rear, perfect for the kids to get a good nights sleep! In the fully equipped bathro om you will find a toilet, shower, sink, and medicine cabinet.There are plenty of overhead cabinets throughout the travel trailer as well as a front pass thru storage.Outside you can even enjoy the exterior kitchen which has a refrigerator, two burner range, and sink. Now those nights you don't want to end early so you can cook, don't have too. Come in today to walk through this 2016 KZ Sportsmen LE 280BHSS! 2008 KZ-RV Durango 325SB, Durango by KZ-RV 325SB floor plan has three slide outs with a nice rear living area. Large windows and nice seating arrangements make it comfortable for a family or couple. Huge open floor plan with cabinets and galley counter top for prep area in the kitchen. Free standing table and chairs. Side aisle to the bedroom has private side bath with two doors. Walk a round queen bed with wardrobe storage and chest of drawers. © SmartRVGuide New York, NY - All rights reserved.